This was supposed to be the Year of the Woman. Instead, 2016 has shaped up to be the Year of Powerful Men and the Women They Demeaned, Harassed or Worse. The charges against Bill Cosby, the fall of Fox’s Roger Ailes and the rise of President-elect Donald Trump all contributed to that distinction. It's no surprise, then, that Fox News anchor Megyn Kelly’s new book, “Settle for More,” gives a behind-the-scenes look at her dealings with two of the most influential men in media and politics -- Ailes and Trump. Kelly's book, released Tuesday, is meant to be an uplifting memoir about her impressive rise from middle-class Syracuse, New York, girl to one of America’s most successful news anchors. Yet it's her painful and disturbing account of what it means to be a high-profile female journalist in the age of Fox News, Twitter and Trump that resonates. Kelly, 45, writes that she became the target of Trump’s “relentless” personal attacks in 2015 after she reported that his second wife, Ivana, testified in divorce proceedings that he raped her (an accusation later retracted). Like many before and after her, Kelly became the target of Trump’s now infamous social media assaults. He called her a “bimbo” on Twitter, posted fake photos of her cavorting with Saudi royalty and began referring to her as “crazy Megyn.” Kelly figured it would blow over. It did not. As a precursor to the four years ahead, “Settle for More” is unsettling. One has to wonder why she didn't publicly reveal her bizarre ordeal with Trump sooner, given that he was aiming for the White House. Would it have changed the outcome of the election? Probably not, but timing the book to come out just after the election feels like somewhat of a cop-out. Still, as Kelly’s personal story, the book is a testament to her resolve, even in the face of Trump calling his good friend Ailes to “rein her in.” To Ailes’ credit, says Kelly, he did no such thing. Yes, Ailes is the same man Kelly claims sexually harassed her, so his support of her may be confusing to some. Yet Kelly explains what many women already know -- turning in a boss, especially one as powerful as Ailes, is career suicide. She complained to a superior, nothing happened, so she learned to navigate the CEO’s unwanted advances. Of one such incident in 2006, she writes, “I dodged the first two attempts, pushed him away, and immediately went to leave. ... As I walked away from him, he followed me and asked me an ominous question: ‘When is your contract up?’ And then, for the third time, he tried to kiss me.” She got out without acquiescing and effectively avoided Ailes until he eventually lost interest. It wasn’t until former Fox anchor Gretchen Carlson filed suit against Ailes that many women, including Kelly, came forward with similar stories. Kelly has caught flak for taking so long to out Ailes -- a decision she still grapples with. But as a newbie with little to no power at the network, the reality was that pushing her case to human resources would have likely been a career-destroying move. Kelly is hardly an anomaly; she’s instead one of few women brave enough to admit her shame for not doing something more, and sooner. In retelling her story, Kelly struggles with reconciling her own experiences, negative and positive, with the narratives of right-wing culture that dominate Fox News. Though she was hurt by Trump and other bullies in her past -- competitive women at Fox, Ivy League snobs in her early law career, mean girls in middle school -- Kelly makes it clear that she’s no victim. She joined Fox in 2005 after tiring of her career path as a litigator and quickly impressed her bosses with a hard-core work ethic. Ailes was among them, and he was instrumental in Kelly’s ascent at the network. 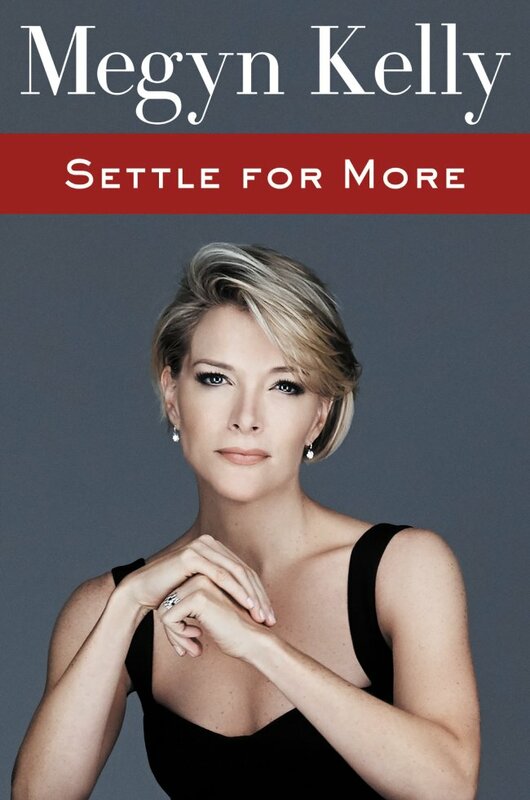 In “Settle for More,” Kelly also writes candidly about the deception she felt when her colleague Bill O’Reilly interviewed Trump during his attacks on Kelly, yet sidestepped asking the candidate tough questions about his barrage of insults and tweets.